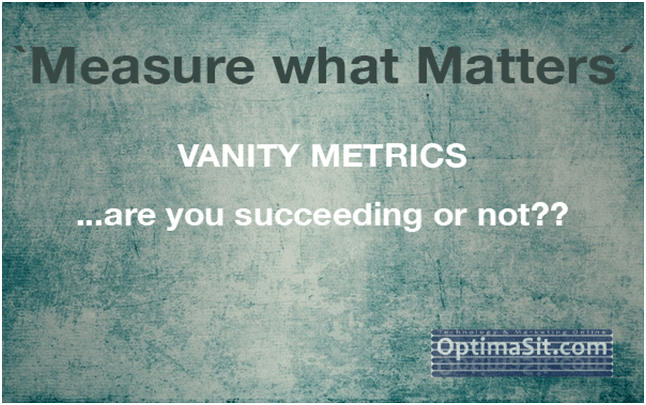 What is ‘VANITY METRICS?’ You think you are succeeding with your Social Media following. The number of Facebook likes, Twitter followers, Page views, Instagram followers, Linkedin followers… the list goes on, you get the picture. Don’t be seduced by this! 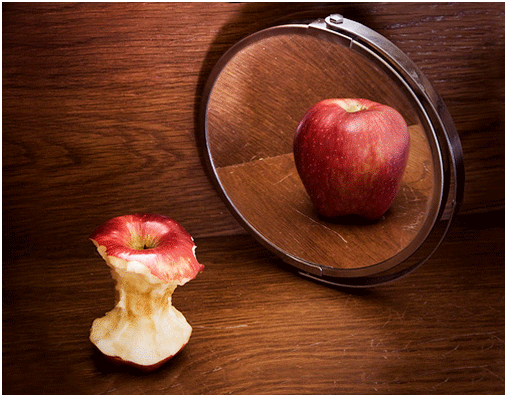 WHAT YOU SEE MIGHT NOT BE A TRUE REFLECTION! Are you winning or failing? Lots of followers doesn’t mean you are so don’t be too dispondent if your followers are few, as long as you have engagement. You may have a huge following, which yes can be a good thing because you are raising awareness (which is always a good thing), but without engagement it means nothing. Real Metrics is measured by Traffic Generation, Conversion and Revenue. Analysing and measuring metrics in digital marketing is more about engagement. This is real value, it gives more insight how to continue with your content. Your content drives more data for you to measure. 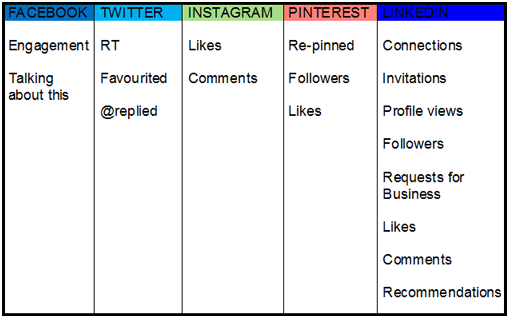 You are aiming for shares, comments and re-tweets. This is where the engagement overlaps with the reach. What does this mean on each social channel? To understand the metrics you need to define your business objectives. Don’t focus so much on your Vanity Metrics, otherwise you’ll forget who your audience really is and build the real connections. You ultimatley are looking for engagement. You need to have a management plan that will drive your business forward with a complete analytics strategy and ways of measuring it, to successfully run your marketing campaign. At the heart of this plan always is CONTENT. Concentrate your efforts on building your brand, authority and nurture your customers. It may be a steady growth, even slow, but you will be more fully equipped to understand your customers.